It is a hard job to build the finest car of the world. Especially, when it is about building an exotic car, it takes a lot of mind and intellect. We had a number of good examples in the past. Like no one could forget the Ferrari F50. Even it is hard to forget the Jaguar XJ220. But not just the past, the present even has a number of exotic cars. What about the Bugatti Chiron? Another explicit example of the exotic cars. While in the present year we got another good example that sits among the supreme cars. It is the Ferrari 812 Superfast. Indeed the Superfast. It has one of the finest drivetrains. The cosmetics are amazingly beautiful. And the interior is full of luxury and comfort. This is the Ferrari from Italy. 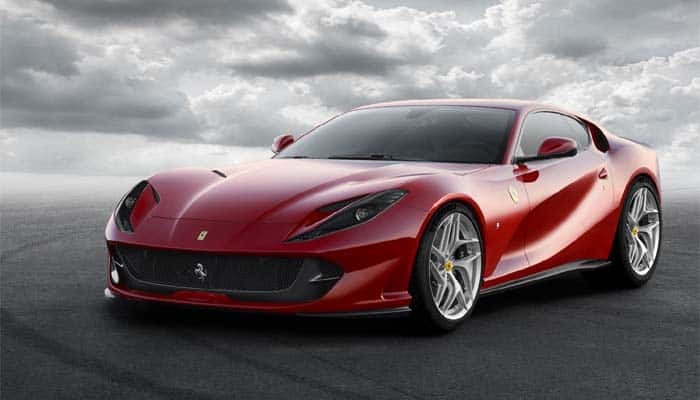 The Ferrari 812 Superfast was introduced in Geneva Motor Show 2017. And in the same year, the vehicle was launched commercially. 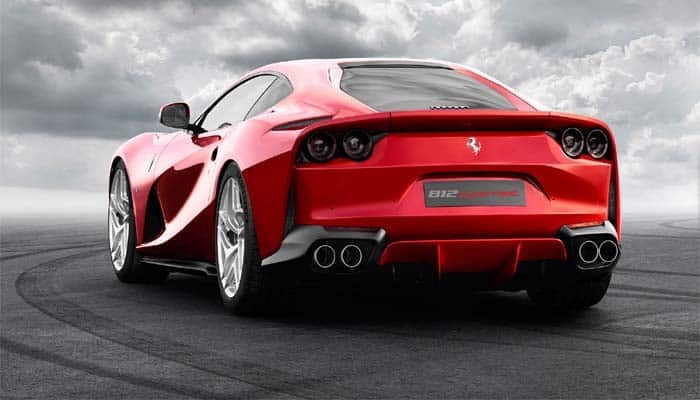 The 812 Superfast is the successor of the Ferrari F12 Berlinetta. The title for this car has been extracted from its mechanism as well as its success. The digit 8 implies to the 800 hp of power. While the 12 represents the succession of the F12 Berlinetta. And the suffix Superfast has been taken from the natural performance of this car. Well, this is the first year of its production. There is a lot more to come. Awards, accolades, safety tests, consumer reports and everything would come up time to time. The 812 Superfast takes most of its design concept from the predecessor. 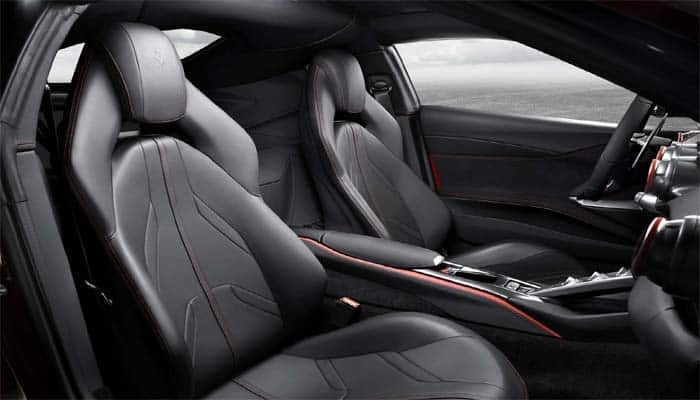 The performance schedules, exterior designing, and the interior appointment has been brought down from F12 Berlinetta. In a way, the 812 Superfast is an improved version of the F12. Innovation is definitely a hard job. But improving an already existing model is certainly more difficult. As you have to target the new heights. And if it has to be commercial, you would have to keep in mind the expectations of your target audience. The better you answer their expectation, the better outcome you get. This has been the case with the Ferrari 812 Superfast. 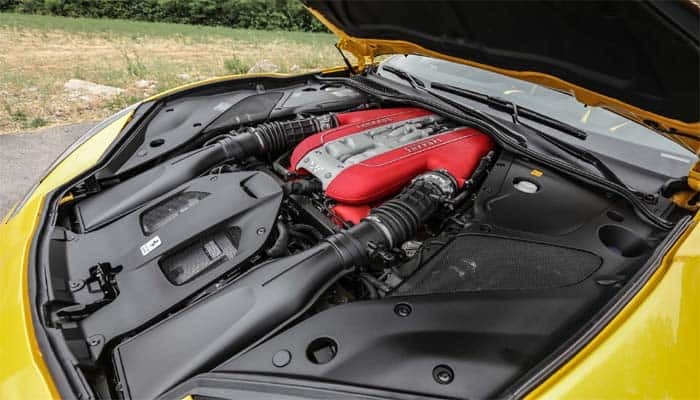 The 6.3 L V12 engine of the F12 Berlinetta was improved and placed in the 812 Superfast. It has been enlarged to 6.5 L V12 engine. And it is even the naturally aspirated engine like its ancestor. But it is the spectacularly powerful engine. This engine has been tuned to deliver 800 hp of power at 8,500 rpm. While the torque is rated at 530 lb-ft. This is the most powerful naturally aspirated engine. And yet, no V12 production car has been produced with such powerful specifications. Well, this power is not just to the limits of paper and web. Instead, we practically experienced the power of the 812 Superfast. It lapped 0-62 mph within 2.6 – 2.8 seconds. In some laps, we were able to reach the mark in 2.7 seconds. While the track best of this car is 220 mph. Well, Ferrari claims 221 mph. But we would blame the curves on the track. The Ferrari 812 Superfast comes with the 7-speed dual clutch automatic transmission. This is the only available transmission system in this car. Well, this transmission is pretty fine. Along with that, the gearing ratio is certainly perfect. This is somehow the most suitable transmission system for such a powerful engine. The handling in Ferraris is awesome. The turn smoothly. Suspensions are eloquent. Tires have marvelous road grip. And the brakes are awesome. 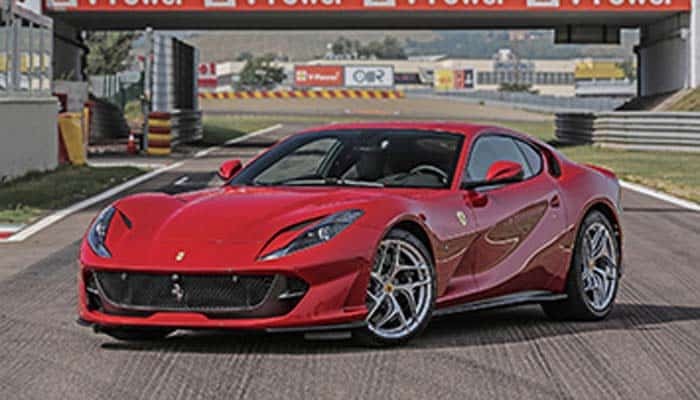 The Ferrari 812 Superfast is a 2-door coupe. Ferrari prefers to call this body style as the Berlinetta. Well, it looks much like the F12 Berlinetta. But the aerodynamic designs make it look different than its ancestor. Ferrari has used the similar design for this car. But the vents for the engine are bigger and wider for the 812 Superfast. Even the bonnet implies much application of the aerodynamics as compared to the F12 Berlinetta. Certainly, it gets more air thrust and the downflow. Even its drag coefficient is marked better. Under the wind tunnel, the front and the sides blow 17% more air away from the car. And the rear is good enough to balance this Superfast car even at 200 mph. The cosmetic design looks pretty much similar. But most of the parts have changed. Like the headlamps make the front give a smiling gesture. Wheels are attractive. And it seems like there is a 10-spoke dancing star in the wheel. Besides, there are 9 more designs available for the wheels. The rear design is certainly quite different than its ancestor. It gives much more aggressive look than the F12 Berlinetta. Seems like Ferrari has spent the same amount of budget on the interior design of this car like it did for the F12 Berlinetta. The ingredients are same. Even the interior appointment is pretty resembling. There is a variety of options available to enhance the interior design. You can choose from carbon fiber and Alcantara for your accent. The color of the seat stitches could be customized according to your choice. Even, you can get the carpet of your choice in this car. The standard seats are really comfortable. On top of that, there are two more seats available. First being the carbon fiber race car seats and second being the legendary Daytona racing seats. You can even customize the color of the seats. And can even have the seat belt color as per your choice. Well, if you wish to add some more leather upholstery to the seats, then it is even available in this car. Well, Ferrari just wants that you get your car designed according to your choice. Isn’t it awesome? There is no infotainment system in this car. Instead, there is a digital driver cluster behind the steering wheel. Well, most of the exotic cars from Italy are using this doctrine for the technological installation. There are two LEDs installed at each side of the tachometer. The one at the left displays the active mode, suspension position, fuel log and some essential maintenance meters. While the one at the right works as the navigational panel. Certainly, you would not have to look at the right or left-hand side of your steering to observe navigation. Just simple direct your eyes towards the speedometer and observe your path. Well, the standard sound system in Ferrari 812 Superfast is quite awesome. But Ferrari even offers a premium quality HiFi system. Security is essential for a car worth $315,000. A number of cons may have their eyes on your car. But do not worry about that as Ferrari has a plausible solution for you. It offers an anti-theft system that could be followed using ADR cards. Even it works with the ADR cards. The safety of the Ferrari 812 Superfast has not been tested yet. Just only the basic road safety test had been conducted. And Ferrari 812 Superfast has qualified those tests. Passive safety is standard in this car. There is nothing different. And the active safety is just limited to the extent of cruising, braking, and traction. Actually, safety depends on your driving. Drive safe and stay safe! 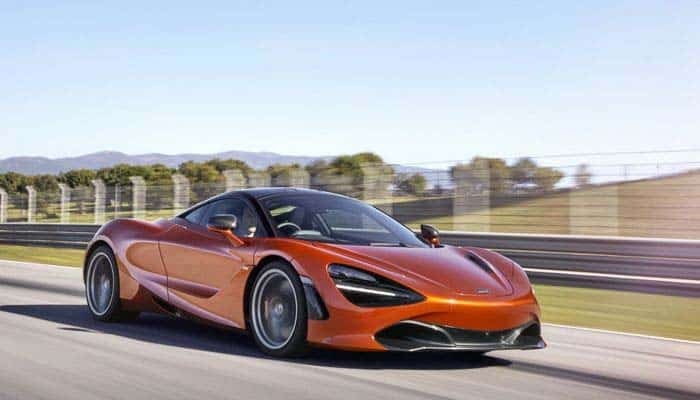 The McLaren 720S is one of the competitors of the Ferrari 812 Superfast. It lies in the same class of exotic cars. And even it has a remarkable structure. Along with that, the drivetrain of 720S is even pretty spontaneous. 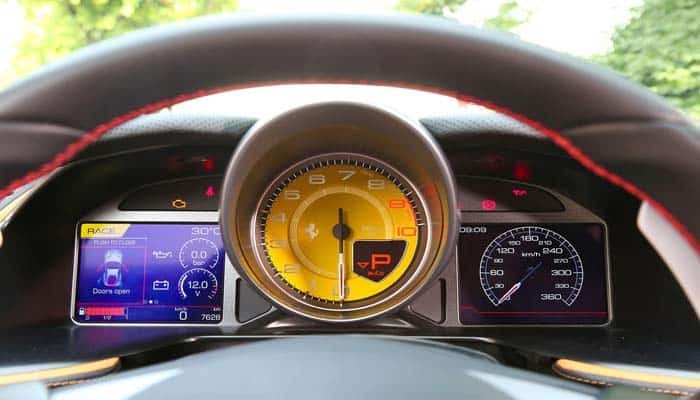 But 812 Superfast, is really quite fast, agile and comfortable. The Ferrari 812 Superfast is really a perfect car if you are looking for something that has the abilities of grand touring, speed and agility. Well, Ferraris are quite rare. Be quick and grab yours!